Legends Horse Feed features advanced safety, nutrition and performance additives, ensuring that your beloved horse remains fit, healthy and performing at its very best. GASTROCARE from Legends is the only supplement in the Legends line specifically designed to support healthy digestive tract function in show and performance horses. Where others failed to change the game, Legends excelled. Click on the products below to find out more. Have a question about the various feeds we offer? 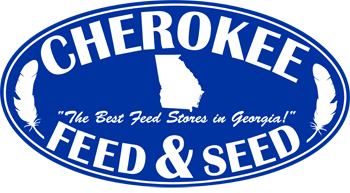 Give us a call or stop by one of the store at Cherokee Feed & Seed if you have any questions. We are happy to help!